Being one of the leading manufacturers and exporters of Gynecology products, we offer a very high quality product to our customers. We provide the customers with the best quality products at reasonable prices which are sourced from the best vendors of the industry. These vendors make use of supreme quality raw material and latest technologies in the manufacturing of the product. They are quality packed to ensure that the flawless product is delivered at the customers end. Before dispatching the products to the customers, they are quality tested on varied parameters. 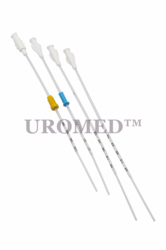 We are into manufacturing and exporting of high quality IUI Catheter. 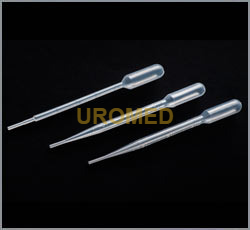 These are fabricated using clear polyethylene, 17cm in length, along with an OD of 2.00mm and an ID of 1.10mm, a 4.5cm distal segment with double side eyes and a rounded tip insures a very smooth entry through the cervix with minimal disturbance to the endometrial stroma. It is available at very reasonable rates to our clients and within the specified time frame. 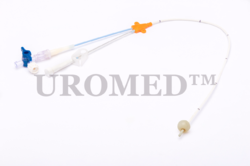 This product is designed with a flexible body, which enables the catheter to fit itself to the curvature of the uterus. 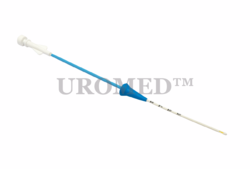 It is relatively a small and maneuverable IUI catheter. It allows for the sperm to bypass the cervix so that an increased number of high quality sperm can reach the uterine cavity and the fallopian tubes and also used for the introduction of washed spermatozoa into the uterine cavity. 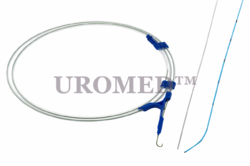 SSG Sonosalpingography Device which is mainly used by the Gynaecologist for inseminating the saline onto the Uterus. These device are ultra soft and are absolutely atraumatic. which is made of biocompatable raw material which suitable for human body. for proper measurment centimeter marking has been provided on each centimeter. Fallopian tube recanalization (FTR) is a nonsurgical procedure to clear blockages in the fallopian tubes, part of a woman’s reproductive system. 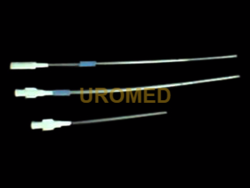 Being the leading manufacturer and exporter of IUI Catheter Lateral products, we offer a wide variety of high quality products which are manufactured under the guidance of our expert professionals. Our range is fabricated using superior quality raw material, procured from the authentic vendors of the industry. We offer these at industry leading prices to our valued clients and are delivered to them within the specified time frame. They are available in varied sizes and can also be customized in accordance with the requirements of the customers. Equipped with a positioner to prevent damage to the fundus. 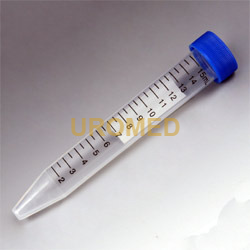 Centrifuge tubes cover the everyday needs for sample storage and centrifugation in a lab. Looking for Gynecology products ?